Into a lawless republic of pirates in 1715 sails a young, cocky, and fearsome captain named Edward Kenway. His skill with a sword and disdain for authority earn him the respect of pirate legends like Blackbeard, but thrust him into an ancient conflict that threatens to destroy everything the pirates have built. 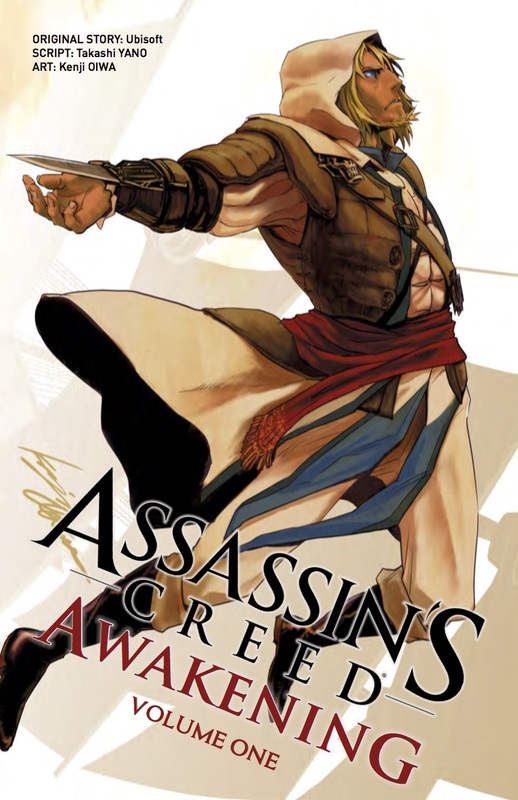 Titan Comics’ manga Assassin’s Creed Awaking wastes no time before jumping right into the action. The story starts with power-hungry pirate captain Edward Kenway facing off against the British Navy, keeping his oath to make it rich at sea. Amid cannon balls and shouts from the crew, he remains focused on the gold and glory to be found. Titan Comics has partnered with manga writer Takashi Yano, famous his work on the Naruto series. He has worked on other Assassin’s Creed ventures and now brings his talent and storytelling ability to this new adaptation. Artist Kenzi Oiwa brings vivid battle scenes to life with dynamic characters and skillful renderings of the pirate life in the 1700’s. I enjoyed the manga interpretation of the story, with its fast-paced plot and stunning visuals.